Networking pros with these job titles typically make more than $109,000 per year. Which networking professionals are bringing home the biggest salaries? A report from IT staffing firm Robert Half Technology sheds light into the top-paying networking jobs. The firm's 2018 Technology and IT Salary Guide provides a salary range for common IT job titles in the United States. It identifies salaries in the 25th, 50th, 75th and 95th percentile for each title. The 50th percentile is the midpoint of the pay range and offers a glimpse into what the average worker with a given job title might earn. Those in the 95th percentile of the pay ranges typically have a lot of relevant job experience and top-notch skills, as well as more complex job responsibilities. On the other end of the spectrum, those in the 25th percentile are typically just starting out in their careers and don't have the experience or skills to command higher pay. Based on the Robert Half data, the top-paying network jobs in the U.S. are as follows, along with the skills and experience typically required for these positions, according to job postings and other data. 1. Network architect. Pay for network architects ranges from $112,750 in the 25th percentile to $190,000 in the 95th percentile, with a median of $134,000, making them the top-earning networking professionals in the country. According to the Bureau of Labor Statistics, typical job responsibilities for network architects often include designing and building LANs, WANs and intranets. Most network architects have a bachelor's degree and at least five years of experience. 2. Wireless network engineer. These professionals typically earn $100,000 to $158,750 per year, with someone right in the middle bringing home $119,000. As you might expect, wireless network engineers need a very thorough understanding of wireless protocols, hardware and WLAN design. Their job responsibilities include designing, implementing, optimizing and troubleshooting wireless networks. According to Robert Half Technology, job applicants interested in pursuing a career as a wireless network engineer need strong analytical and problem-solving skills, a bachelor's degree, and five or more years of networking experience. Most also have professional certifications, like the Certified Wireless Network Professional (CWNP). 3. Network security engineer. As organizations have become increasingly concerned about the security of their networks, demand and salaries for network security professionals has skyrocketed. A network security engineer might make between $97,000 to $163,000 annually, with a median salary of $115,000. These workers need to have an understanding of the fundamentals of both networking and information security, job postings indicate. And because security technology changes so frequently, it is absolutely essential that they have recent relevant experience. Their responsibilities might include provisioning, deploying, configuring, managing, maintaining and troubleshooting network security hardware and software. They might also conduct risk assessments or penetration testing, as well as monitoring logs for signs of potential security breaches. 4. Network manager. According to the report, a network manager often earns from $93,500 to $157,250, with a median of $111,000. These professionals need to have both technical skills and people skills, a combination that can be difficult for employers to find. They have the ultimate responsibility for overseeing corporate networks, but they also need to hire, train and manage the workers on the networking team. They might also need to meet with other business or IT leaders for discussions about strategy and budget. Network managers typically have a bachelor's degree, several years of networking experience, professional certifications, and possibly also some management experience. 5. Network security administrator. 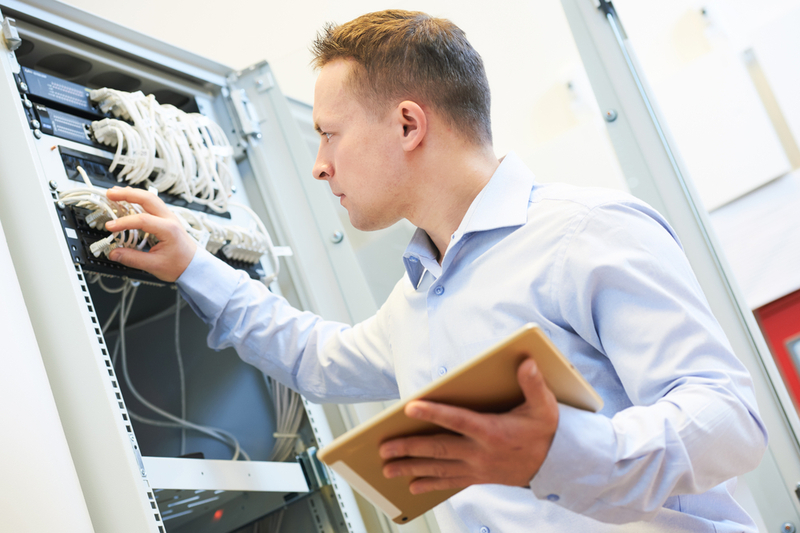 As with network security engineers, demand is also high for network security administrators. They frequently have salaries between $92,000 and $155,000, with a median of $109,250. They often work in teams, with team members dividing up security duties, so their actual job responsibilities vary. They might assist with log monitoring, risk assessment, troubleshooting, penetration testing or other tasks necessary to securing corporate networks. The Robert Half report also noted that having certain high-demand skills can boost networking pay up to 10 percent. These include Cisco network administration, Linux/UNIX administration, Voice over Internet Protocol (VoIP) administration, and Windows 7 and 10. Networking-related titles that didn’t make the top five in the report included network engineer (median pay of $107,000), telecommunications manager ($94,000), network administrator ($87,000), telecommunications specialist ($70,000) and NOC technician ($59,500).